Valentine’s Day is the time of year when we are reminded to tell those around us how much we love them, but also to hear that message in return. We share those messages in a lot of ways; through gifts, flowers, and cards. In fact, every year on Valentine’s Day over 100 million cards are exchanged, making it the second largest seasonal card sending time of year. That’s not even counting the cards millions of school children will exchange with each other on the 14th! 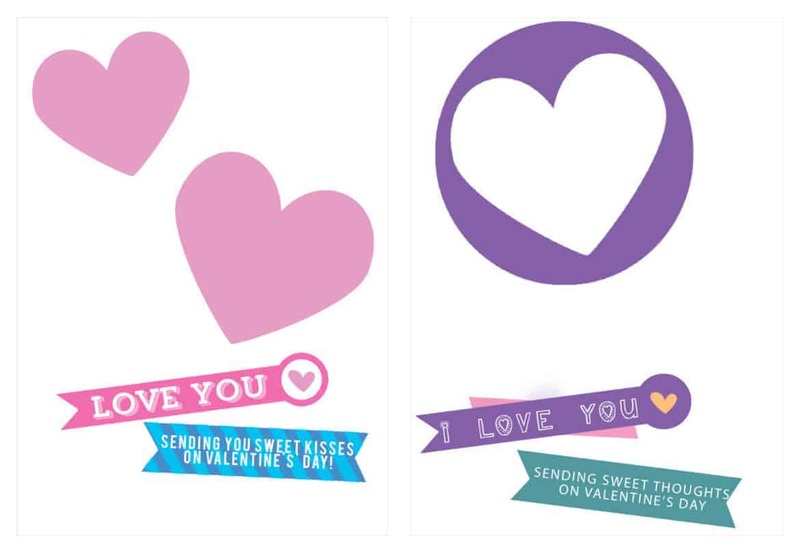 This Valentine’s Day I created two printable greeting cards for my daughter. They’re a cutesy way of making her smile and I upped the cheese factor by featuring a play on words to pair with another Valentine’s Day staple – chocolate! Download our Hershey’s Conversation Kisses Printable Card or the Reese’s Conversation Cup Printable Card for free. 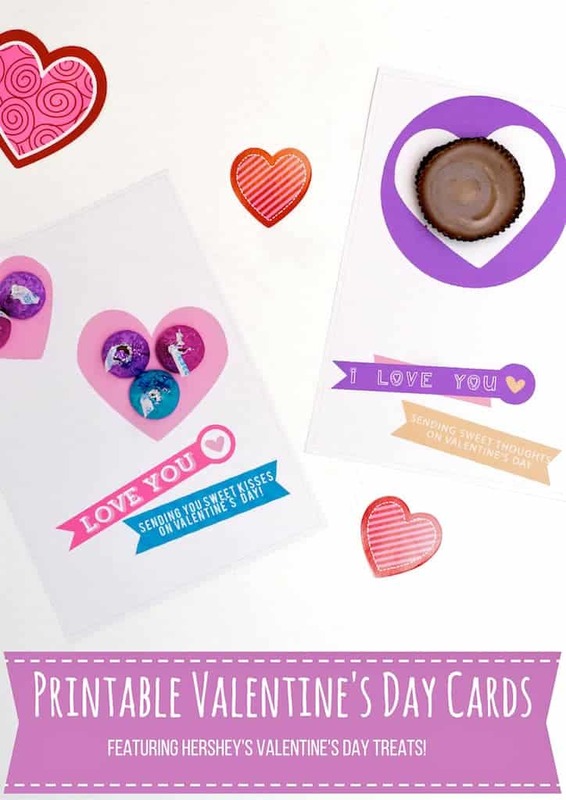 The first printable card contains the message “Sending you sweet kisses on Valentine’s Day” to pair with Hershey’s Kisses Conversation Candies (available exclusively at Target).I fixed the candies to the card with double sided sticky tape. The Hershey’s Kisses have phrases like “XOXO” “HUG ME,” and “LUV U” right on the packaging. 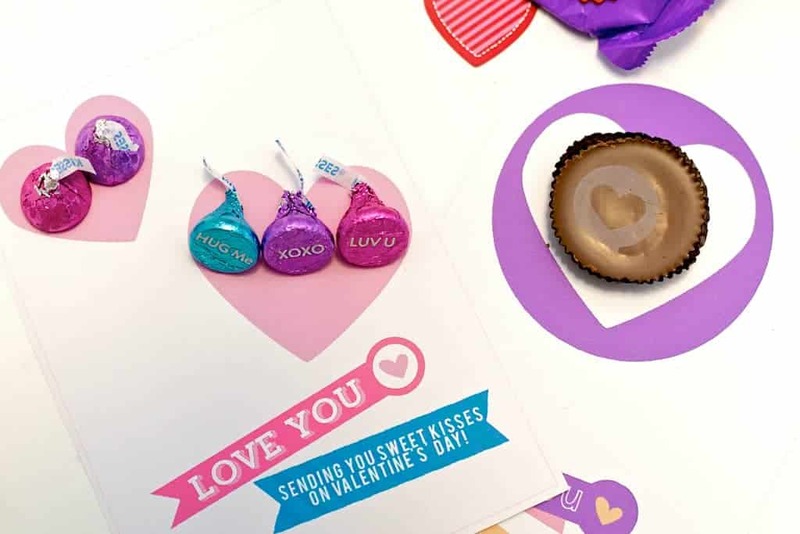 The second card shares the message “Sending sweet thoughts on Valentine’s Day” to pair with Hershey’s Kisses and Reese’s Conversation Cups. I have to admit the conversation cups are Maddilyn’s favorite. Although she is already pretty partial to Reese’s she thinks it’s so cool that hearts and messages are printed right on the Reese’s cups. The Reese’s Conversation Cups come in individually wrapped packages with “To” and “From” so we can hand them out to her classmates too, it’s a win-win! 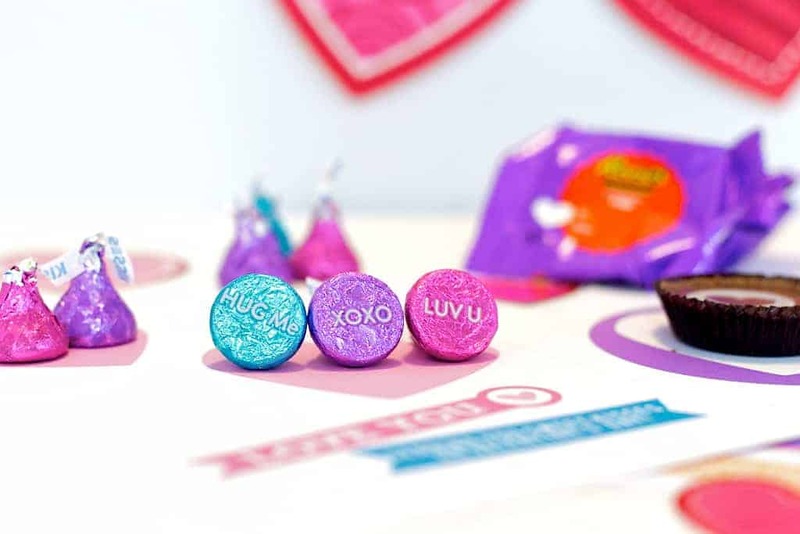 If you haven’t seen Hershey’s new conversation candies they’re adorable and perfect for sharing with your little Valentine’s or handing out at class parties. These are so sweet! What a great idea. I’ll be pinning this post. I love the idea. I forgot all about sending treats for classmates at school. I’ll have to help my son next year. i love these! so cute and easy to make! These are great Valentine’s! I really love those Hershey’s kisses too. I didn’t know they had that writing on them. I’ll have to check for them in the store.